Al and I were married in 1994 and in 1995 we headed to England so Al could meet some of my English relatives. We had just arrived in the UK and my uncle asked what we wanted to do while over. 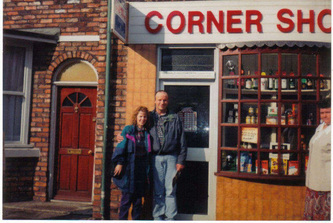 Al jokingly said 'Go to Coronation Street.' We'd only started watching the show two weeks before so Al could see what England was like. 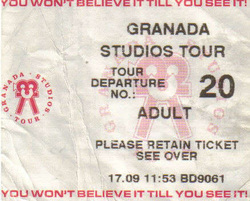 We didn't know they did tours, but the next day we were there. 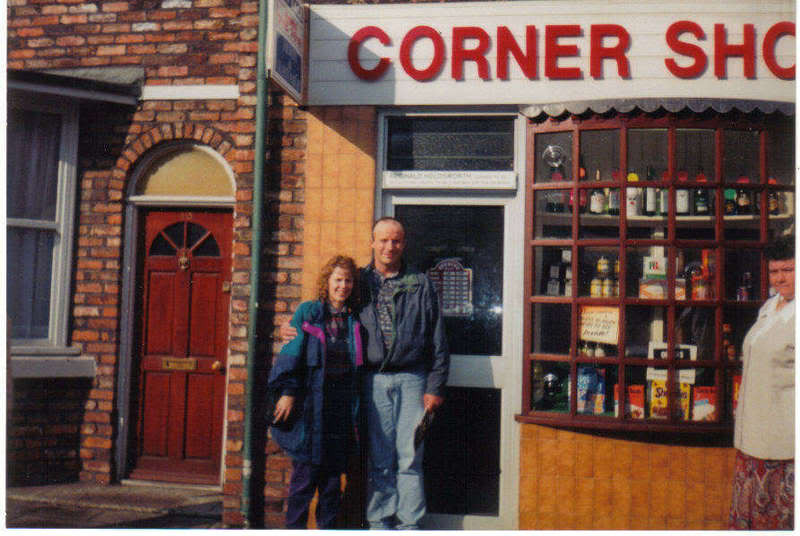 Al's first pint in the Uk was at the Rovers! After walking on those cobbles we were hooked and haven't missed a show since. With only watching Coronation Street for two weeks before this trip, I didn't appreciate this tour as much as I should have. 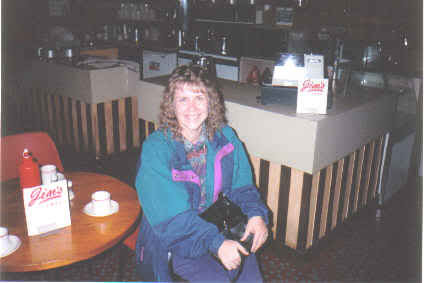 When they stopped the tours to the public in 2001 I realized how lucky I had been to walk on the famous cobbles. I knew if ever I was given another chance to walk the cobbles I would appreciate every moment. Luckily I got to walk them again.